BlackBerry 8820 on AT&T available today - sort of | BlackBerry Blast! According to several reports the AT&T BlackBerry 8820 is making its way into some AT&T stores today although there has been no official launch announcement. 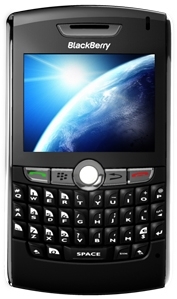 The 8820 is a replacement for the BlackBerry 8800 that was previously offered by AT&T. All shipments of the 8800 have stopped and the new BlackBerry 8820 will take its place. Pricing appears to be the same at $299 with a 2-year agreement.